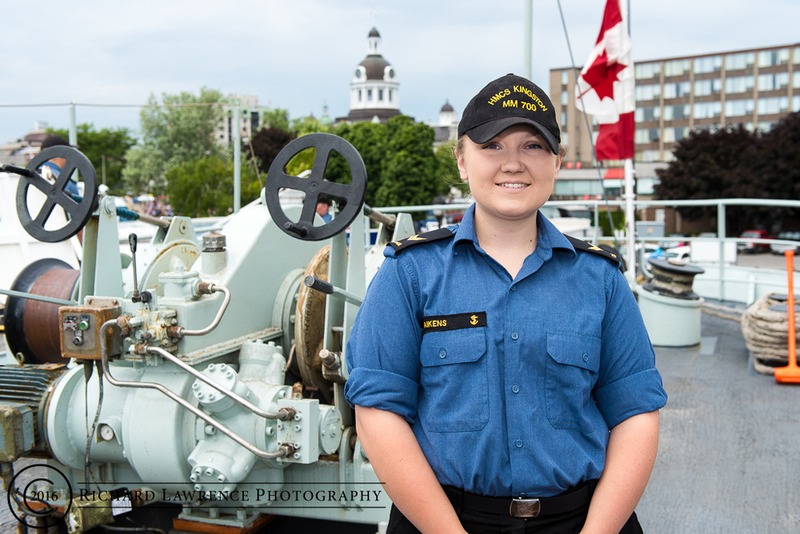 Esprit de Corps reporter Beth Brown and photographer Richard Lawrence travelled to Kingston, ON to greet the Maritime Coastal Defence Vessel HMCS Kingston as it visited its namesake city, July 8–11, as part of the annual Great Lakes Deployment. The ship was given a warm welcome by local reserve unit HMCS Cataraqui and the town crier as Kingston sailed into port. The first Great Lakes Deployment occurred in 2006 as a recruitment initiative under the name of Operation CONNECTION. 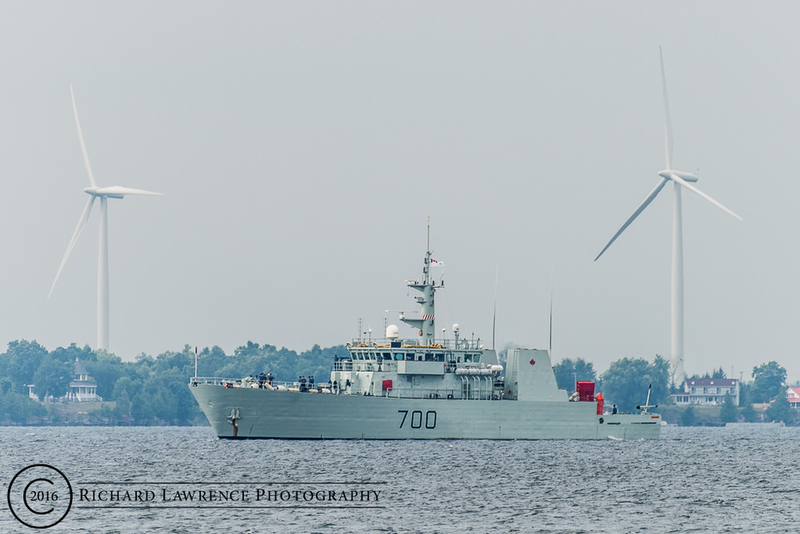 The domestic tour is intended to build inland awareness of the Royal Canadian Navy and connect Canadians with their local reserve units. This year’s deployment was the first of its kind since 2013. HMCS Kingston, the lead in its class, has served with the RCN since 1996. One recent deployment for the ship included partnering with the Canadian Coast Guard Ship Sir Wilfrid Laurier as part of the 2014 Franklin Expedition. The 12 Kingston-class vessels in the RCN fleet are crewed by both regular and reserve force members. The ships provide coastal surveillance, including minesweeping, fisheries patrol and aid in search and rescue operations. They often collaborate with other government departments such as the RCMP and Parks Canada or the Canadian Hydrographic Services. They serve in both northern and southern waters, having taken part in Operations CARIBBE and NANOOK as well as other NATO operations.